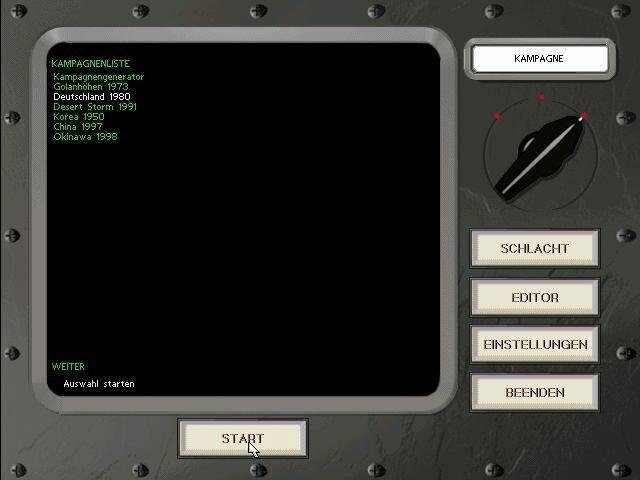 Steel Panthers 2 is sequel to a game that made every Best-of-the-Year list in 1995. 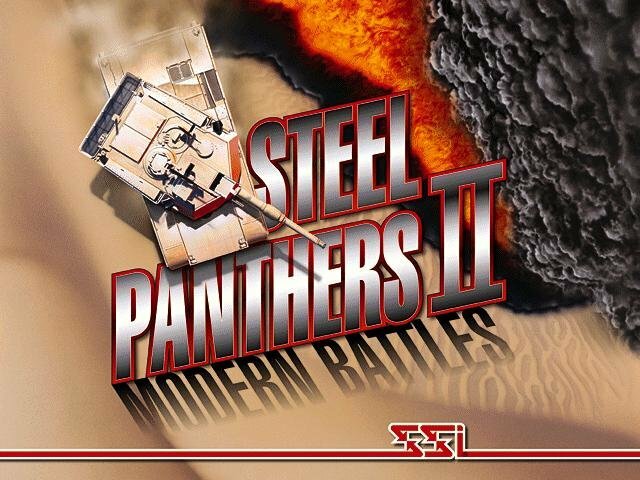 While the original Steel Panthers dealt with World War II conflicts, both historical and hypothetical, Steel Panthers 2 focuses on the wars fought since 1950, along with several what-if conflicts that could become tomorrow’s headlines. As before, SSI offers plenty of wargaming goodness in this package: dozens and dozens of scenarios, exciting campaigns, and a powerful scenario-builder that allows players to create their own battles. The campaigns include the Golan Heights (1973), Korea, and a might-have been invasion of Germany by the Warsaw Pact (1980). The hypothetical campaigns include the U.S.-China conflict, and a U.S. vs Japan conflict in Okinawa. 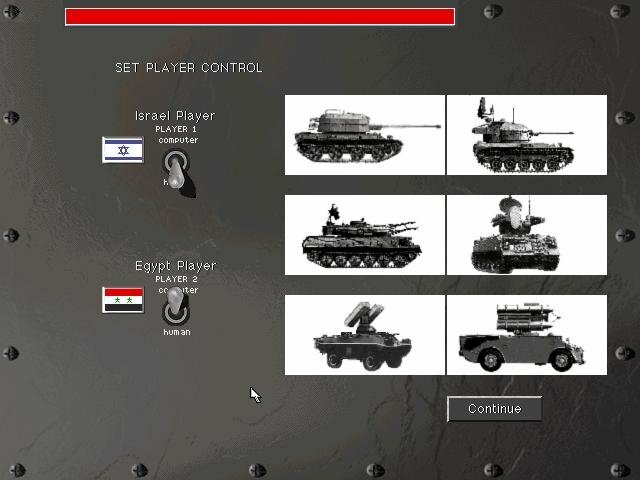 Operation Desert Storm is also included, and if you want an insanely difficult challenge, try playing on the Iraqi side. So far so good. But there are telltale signs that this game was shoved out the door prematurely. 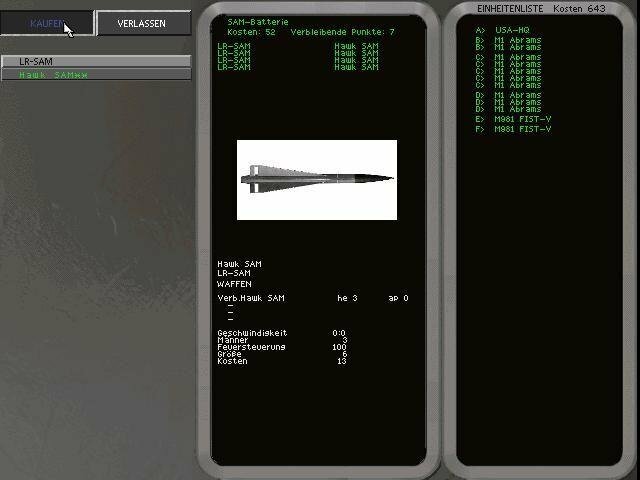 Information displays are sometimes inaccurate (in one game, the U.S. headquarters was labeled “North Korean HQ” for several turns; in another, an unarmed Bell scout helicopter suddenly appeared on my list of artillery assets, loaded with cluster munitions — some chopper!). 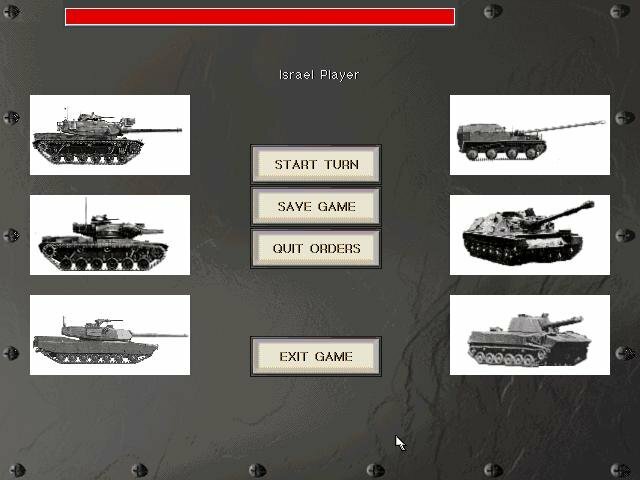 And some of the campaign setups don’t make any sense: in the first turn of the Golan Heights, the computer won’t allow the Israelis to “dig in,” so the first stupefying Syrian barrage causes so much suppression that the defender never recovers. 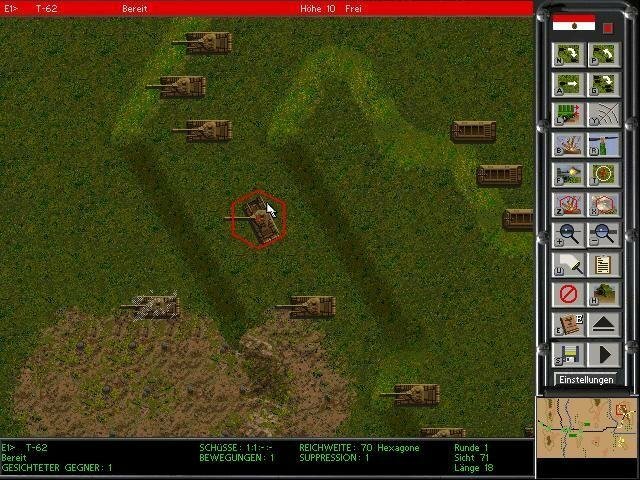 According to the manual, you should be able to put your units in an entrenched posture even if you let the computer handle the initial deployment; but you can’t. Consequently, you lose. 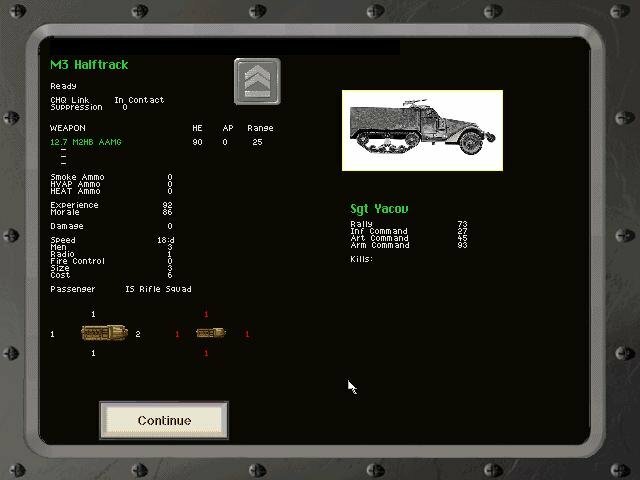 In the Fulda Gap campaign, you don’t have enough buy points for the Americans to stand a fighting chance. You can buy an air strike, but it costs so much that if you do, you won’t be able to afford sufficient armor or artillery. It’s hard to believe by any stretch of the imagination that a Warsaw Pact invasion of Germany in 1980 would not have been met with industrial-strength air power, no matter how much surprise the Russians had going for them. 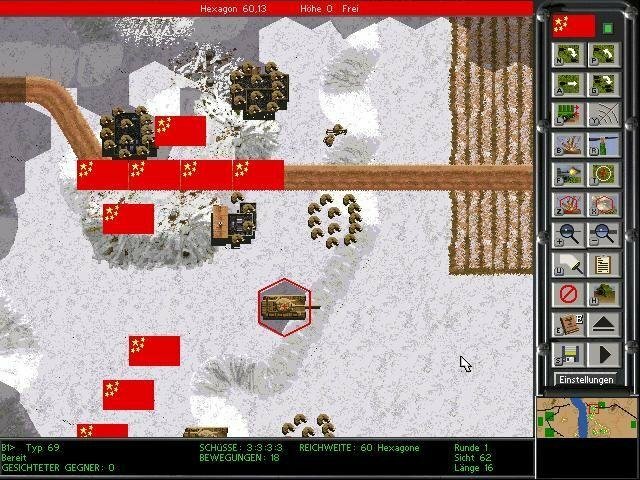 Visually the game exceeds even the high standards set by the original, with great explosion effects and cratering, lots of fire and smoke, missiles streaking across the landscape, suspenseful air attacks. Sound effects continue to play a major role in lending atmosphere to the action: the farting rip of Vulcan gatling-guns, the deadly whoosh of rockets, the brutal “thunk!” of a shell striking armor. 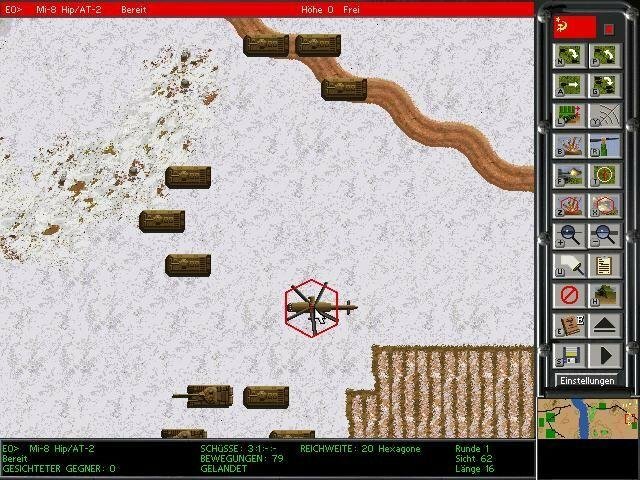 The battles generally play out faster than the WWII battles in the first game, but that’s only to be expected, given the weapons being employed. 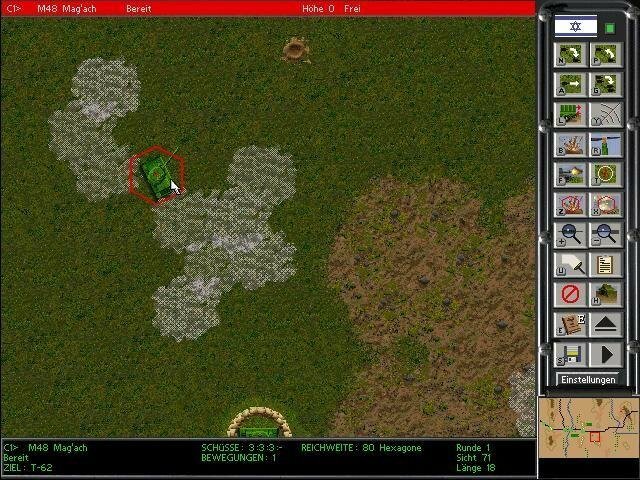 Complementing the battles is a detailed online encyclopedia that provides full information on every weapon’s system deployed by every possible combatant; gamers more familiar with the technology of the WWII era will enjoy boning up on the latest tanks and ground support aircraft, and will find much useful data to help guide their choice of weapons. Given its large number and variety of scenarios and the limitless replay possibilities offered by the scenario-builder, Steel Panthers II represents a lot of value. If only it didn’t have all of its numerous little flaws keeping it from realizing its own best intentions.